Passion is the name of the game, and if you’re as excited about boxing and fitness as we are then this may be the next step for you. About our FranchiseAbout our FoundersAbout the Fitness IndustryWhat do Franchisees say? Our goal was to stray away from the intimidation factor of traditional fitness gyms. Whether it’s the rows and rows of confusing equipment or the lack of an inclusive, team-oriented atmosphere, we knew we wanted to create something new – a program where each daily workout was different and exhilarating, where each member could rely on personal help and direction. Most importantly, we wanted to create a place where people of different ages and skill levels become part of a close- knit community. Of course, Legends’ success begins with its fitness focus. Andrew Scott, Legends Boxing co-founder and two time Golden Gloves State champion, creates our revolutionary workouts from his extensive years of boxing and physical training. Each workout incorporates functional movements while teaching valuable, lifelong skills. Boxing is a full-body workout that builds strength, agility, and confidence, and these elements are at the core of each class. When our members come in, they’re greeted warmly and leave feeling confident that they pushed their bodies to another level and had plenty of fun in the process. Andrew has dedicated his entire life to boxing. While he dabbled as a mechanic for a short while, his true passion was forged through years spent as a Golden Gloves boxer, claiming the title of two-time State Champion and maintaining an undefeated record for months. Andrew has become a coach, a mentor, and single-handedly created all of the outstanding Legends Boxing workouts. Together, he and Rob are the faces behind the Legends fitness revolution. Rob has been boxing off and on since he was a kid, introduced to the sport by a neighborhood pro. His enthusiasm has not always been limited to boxing, however, and he spent a few years playing football and paintball in his spare time. 15 years ago, he and his brother made the jump to XXI Boxing with a mutual partner. Because of its popularity and community need, it has grown into what it is today, and you can still catch Rob sparring in the ring with his brother, Andrew. Boutique fitness has seen rapid growth of over 400% since 2010, making it one of the fastest growing segments in the industry (Stevens Inc). 1-in- 4 adult Americans have gym memberships, and 42% of those people also belong to boutique fitness clubs (Market Watch). As you can see, the demand is already enormous and it’s only growing larger. In an age when 81% of consumers’ purchasing decisions are influenced by their friends’ social media posts (Forbes), the fitness industry has a unique marketing advantage. How often do you see exercise videos and gym “selfies” floating around in your social feeds? Legends Boxing capitalizes on this kind of marketing power by interacting with your existing online community, and by targeting potential prospects through Facebook ads and Google AdWords. The Legends brand has created a program that nearly runs itself. With low employee counts and managers that oversee the day-to-day functions of each location, the franchise owner has greater control over the hours that he or she works each week. Experience real work-life balance with an efficient model that allows owners to work on the business rather than in the business. Now is the perfect time to own a Legends Boxing franchise, as there is ground-floor opportunity for a proven, yet still-emerging category, and the best part is: the prime territories are still available, so you can own Legends Boxing gyms in areas that are destined to be successful. It has become a cliché, but in the case of Legends Boxing, the program really is life changing. Boxing is one of the highest calorie-burning exercises on the market, so your gym’s members will lose weight and improve their health while learning an exciting new skill. And as if that’s not enough, the Legends program includes classes like Rock Steady, which are designed to help people with Parkinson’s disease. Such classes have been proved to provide its members with significant benefits. At Legends, we have three core values with our members. As we continue to grow as a company, we want to ensure that our spectacular culture remains the same no matter when they come in. This includes our philosophy that a fitness facility should be a place where everyone looks out, stands up for, and encourages each other. First and foremost, we want our members to feel that they belong. Boxing, even as fitness, can be intimidating at first. But the skills learned in our gym apply to everyone. At Legends, members are part of a community, a family, and everyone is a part of something special. The Legends team brings together real USA boxing, real technique and real skills to each person. We teach correct form with all of our boxers as well as exercises being performed in the gym. Teaching these skills is what sets us apart from other gyms because we want our members to know they are learning a valuable, usable skill. Every member that comes in has a reason. Whether it may be for weight loss, stress relief, the social aspect, or for competition, Legends Boxing helps set attainable, achievable goals and becomes a part of the support that each member requires on their journey. 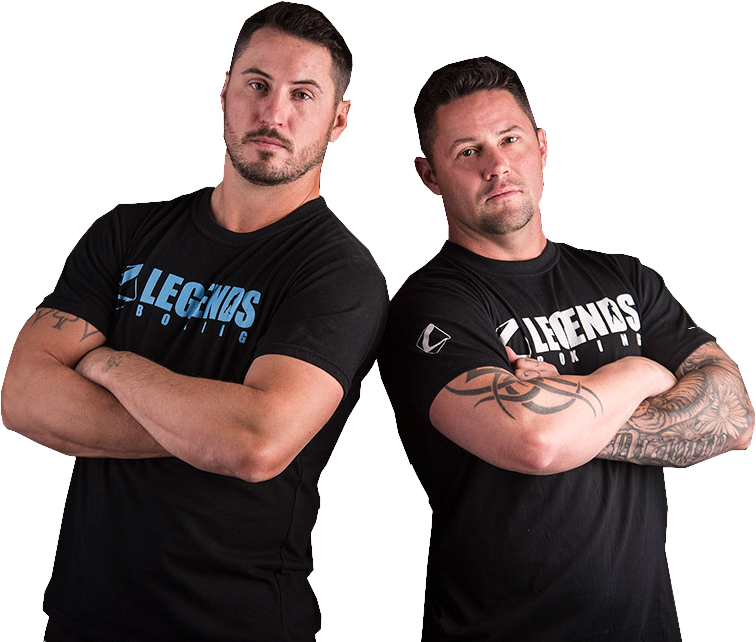 The Legends Boxing brand has “put in the hard yards” to ensure that the franchise owner has a spectacular fitness club that provides its members with a safe, respectful, and cutting-edge atmosphere. When you franchise with Legends, you receive a full-service real estate team, prompt turnkey construction processes, a marketing plan that quickly grows membership, ongoing training and support, and a proven business model to follow. Another benefit of owning a Legends gym is the ability to build in optimal areas. Being a destination service, Legends gym locations don’t have to be anchored to big-box retailers, where you’re required to pay higher rent. Instead, you can choose to build your gym in A or B strip mall locations, or choose from a broader range of real estate options available in a tight market. Once you’re ready to build, you’ll benefit from a turnkey construction process that Legends has developed specifically to make your life easier. We provide a single supplier, so that you have only one point of contact; and this supplier will see the entire process through to its completion, from manufacturing to installation. Additionally, Legends gyms are built to last, and come with an industry-leading 3-year warranty.